DAILYKENN.com -- An invasion force of about 20,000 caravanistas is heading our way, according to nypost.com. 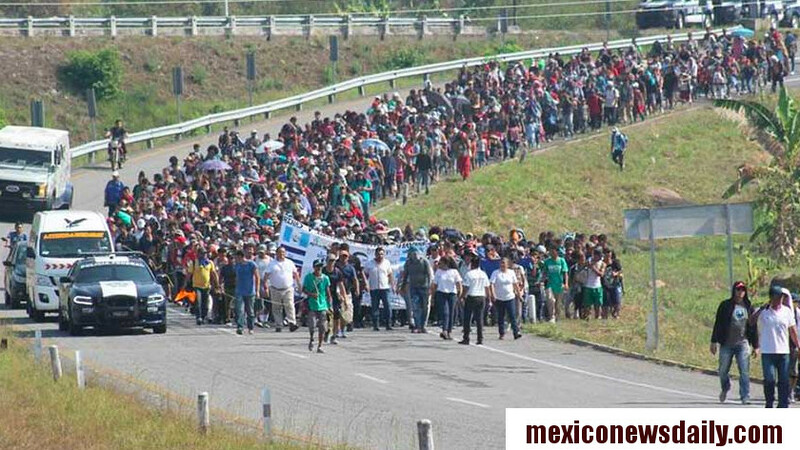 The invaders are natives of El Salvador, Honduras and Guatemala and are already gathering in Honduras. Organizers appear to be using the Ghandi strategy in which the British were forced out of India by massive numbers of non-violent protesters that overwhelmed authorities in the 1930s and 40s. By overwhelming border authorities with massive numbers of brown people from Central America, globalists hope to destroy our nation, it appears. Meanwhile, far-left Democrats who control the U.S. House of Representatives are refusing to fund an adequate defense. Sanchez-Cordero has pledged a line of “containment” formed by federal police and immigration agents to stop any caravan continuing to the US. The government of Honduras has rejected the claim by Interior Secretary Olga Sánchez Cordero that “a mother of all caravans” is forming in that country, while a migrant advocacy group contends that the term was used as a ploy to justify the implementation of stricter immigration policies in Mexico. Honduran deputy foreign secretary Nelly Jeréz said yesterday that “there is no indication of such a caravan” and “this type of information” only encourages people to leave the country. Jeréz’s remarks came after United States Secretary of Homeland Security Kirstjen Nielsen met with Honduran, Guatemalan and Salvadoran officials in Tegucigalpa, Honduras, to discuss the issue of migration. Her department said in a statement that Nielsen signed a multilateral compact with the three Central American countries that aims to bolster border security, prevent the formation of new migrant caravans and address the root causes of the migration crisis. She also said that the Mexican government plans to set up federal checkpoints on the Isthmus of Tehuantepec to halt the flow of migrants as they travel through the country. But the non-governmental organization Pueblos Sin Fronteras (People Without Borders) contended that the containment belt policy was ordered by the United States government and that Sánchez used the “mother of all caravans” term to justify it.